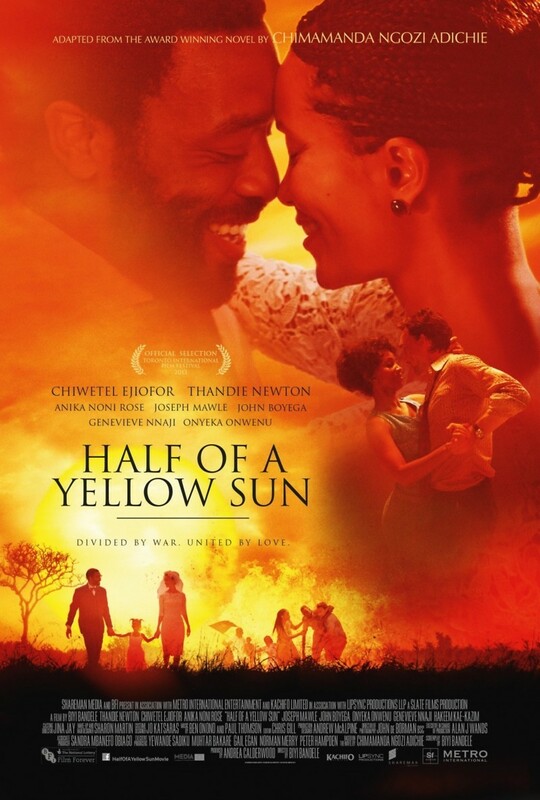 Half of a Yellow Sun DVD release date was set for July 29, 2014. In the aftermath of the Biafran War, the country of Nigeria gains its independence from British rule. As a nation struggles to find its identity and establish an infrastructure suitable to reaffirm their dedication to a representative democracy, the people of Nigeria try to find their place in a reality-shifting environment. Among these newly independent sisters are Olanna and Kainene, twins, affluent and fun loving. They both experience the emotional highs and lows that come from various relationships set against the backdrop of Nigeria's historically-shifting backdrop.